At a time in history when the Time’s Up movement is taking center stage during awards season, blogging about best-and worst-dressed celebs at the Grammys seems…well…an antiquated approach to covering one of fashion’s biggest nights. I’ve never told this story publicly before. Partly because I didn’t want to disappoint all of the fans that were inspired by my story on Fashion Star with the dirty production details following the excitement of the show. As a fashion designer, have you ever hit a serious creative roadblock? You know the drill. Tasked with designing the “next big thing,” you sit down with your sketchbook and draw a complete blank—literally. “Everything’s been done before,” you mutter to yourself and head back to the inspiration drawing board. We’ve been there, and to an extent, you’re right. The A-line dress has been designed in countless fabrics and prints. T-shirts have been taken apart, put back together, ripped, washed, distressed, embellished, frayed, short, long, oversized, cropped…you name it. And unfortunately, many of those clothes have ended up in landfills. Maybe there is a more viable (and valuable) way to come up with the next big thing in fashion. Today’s designers, and those who will stand out from the pack in the future, must also be innovators. So instead of using our creative energy to determine how can we design a pair of jeans no one has ever seen before, maybe we should be considering how can we better the jeans that are already on the market. Instead of researching for inspiration, research a current problem in the fashion industry. Instead of producing more fashion industry waste, use waste from the fashion industry to produce. Instead of using extensive (and often toxic) processing to achieve a new finish, explore a new process to reduce the fashion industry’s footprint on the environment. Recently featured in an issue of Hue, a magazine published by FIT, Stacy Flynn and Christopher Stanev are a dynamic duo who have set out to change how clothes are made, in effect proving the “everything’s been done before” argument dead wrong. Formerly with DuPont, Target and Eddie Bauer, Flynn had sourced millions of yards of fabric and seen first hand the pollution produced by textile factories—in particular those factories using recycling technology. While using plastic from bottles to create polar fleece may sound like a move in the more sustainable direction, unfortunately, the process necessary to transform plastic into fleece is almost as detrimental as creating polar fleece sans recycled plastic bottles. And those retailers who have started recycling programs in which consumers bring in clothes they will no longer wear are only making a small dent in the current landfill crisis in the US. Of the 16 million tons of textiles Americans dispose of each year, on 16 percent is reused or recycled. And so, Flynn and textile chemist, Stanev began to research how they could create a virgin fiber by dissolving and purifying donated clothes, then extruding the results for use in creating new garments. The pair did not find answers overnight—Flynn started asking questions in 2010, partnered with Stanev and together they invested their savings and retirement accounts to discover a way to liquefy fabric, extract the raw cellulose (which makes up 98 percent of cotton) and turn it into a reusable sturdy fiber. 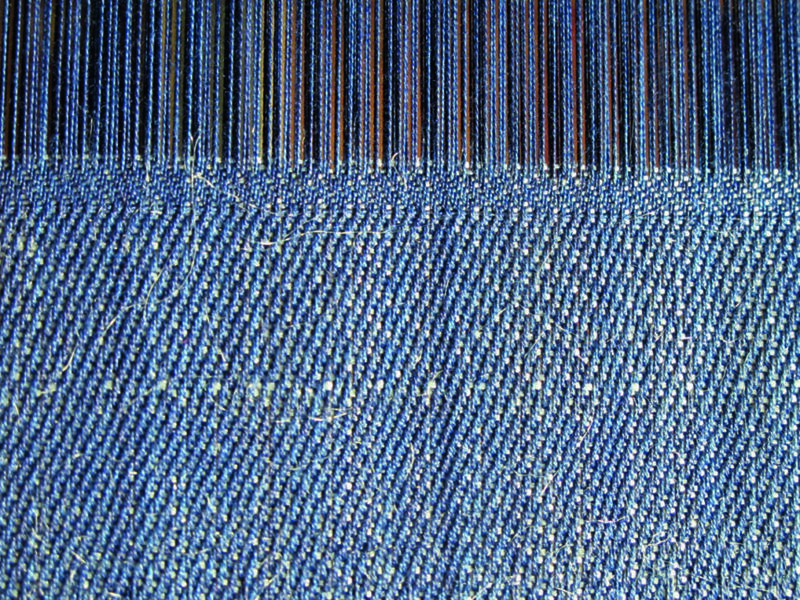 Stanev’s team of researchers developed safe, reusable solvents to break down fabric and in 2015, Patrice George (Flynn’s former weaving teacher) began to weave what Stanev and Flynn called Evrnu yarn into denim. At first the yarn was very weak. George described it as “a cross between cotton candy and peanut brittle.” Stanev worked to make each new skein of Evrnu he sent George stronger and she created 4.5 yards of denim with Evrnu as the weft and cotton as the warp. Flynn then met with Levi’s head of global product innovation and secured an early-adopter agreement for Evrnu use after having George’s handwoven denim made into two pairs of 511 jeans. Target then signed on to redevelop one of their core items, such as socks or Underwear For Men UFM, using Evrnu technology for debut in stores in 2018. The real beauty and innovation of Evrnu? • It can be enhanced. It it’s liquid state, moisture-wicking or antimicrobial properties can be added. Evrnu also takes dye efficiently (and with a 30 percent reduction in impact compared to the dying of cotton or polyester). • It’s strong. Using Evrnu technology, the cellulose can be stripped down to a pure carbon chain which is three times stronger than steel and 1/5 as heavy. • It’s good for the environment. Production of Evrnu takes 98 percent less water than cotton production and gives off 90 percent less carbon dioxide than the process used to create polyester. And get this…Evrnu can be recycled again and again and again—literally three times before it breaks down into sugar. Whew. As designers, many of us dream of never-before-used construction techniques, never-before-seen prints and textiles or incorporating cutting edge technology into garments to make consumers lives easier. However, just imagine the larger impact of creating an A-line dress in Evrnu. While the A-line dress has certainly “been done before,” a garment that can be recycled and worn for generations to come with minimal impact on the environment? Well, we think that counts as “the next big thing” in fashion. Congrats, Flynn and Stanev—you inspire us to rethink the type of contributions emerging designers can make in the fashion industry. So now…we must ask you, our readers, what will your contribution be? T-shirts. Jeans. A little black dress. Underwear. Not exactly garments you might think worthy of the MoMA’s first fashion exhibit in 73 years, and only second fashion exhibit—ever.